Find out for yourself why the Spanish town of Marbella, with both Andalusian and Moorish influences alike, is the Costa del Sol's top tourist destination. 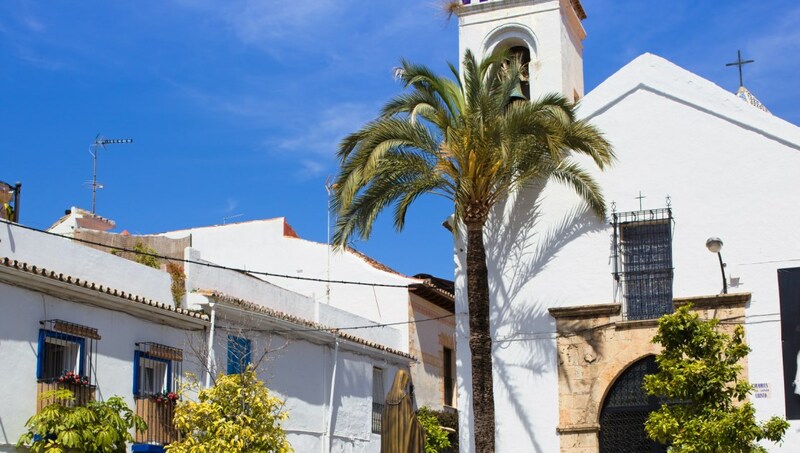 Dating from the 15th century, this church is the oldest religious building in Marbella. King Fahd's palace and some upmarket hotels are just some of the fancy buildings you can spot as you walk down this street on the way to Puerto Banus. 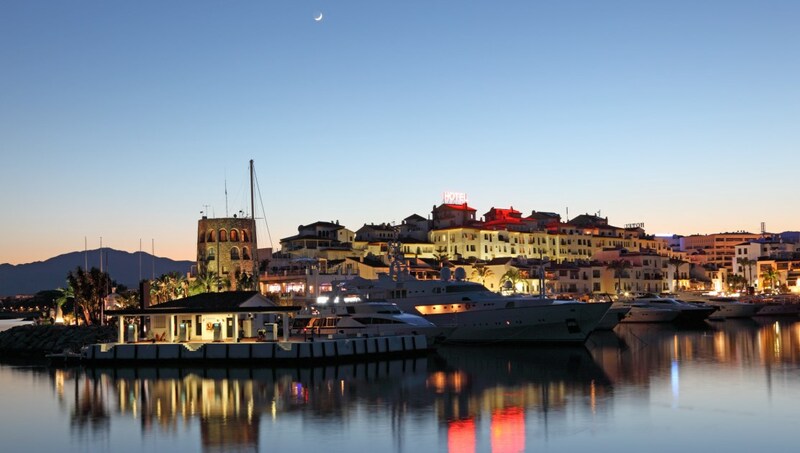 Visit luxurious shops and restaurants at this 1970s marina, a few miles just outside central Marbella, for a swanky Mediterranean experience. 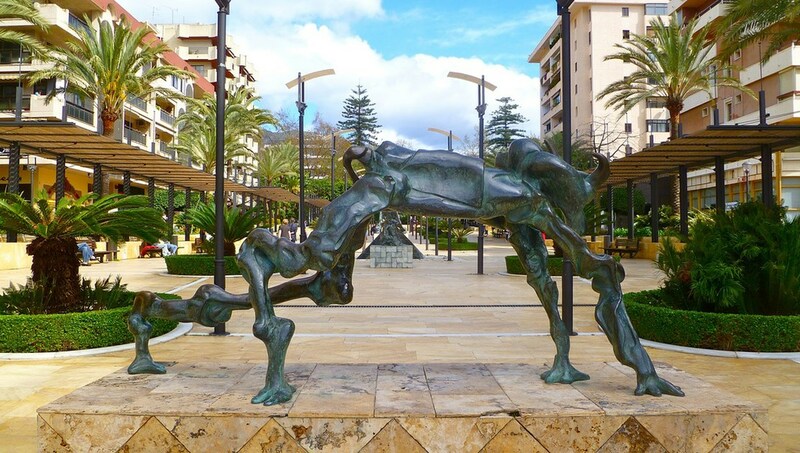 See some of the master of Surrealism's signature unusual but brilliant sculptures down on Avenida del Mar! 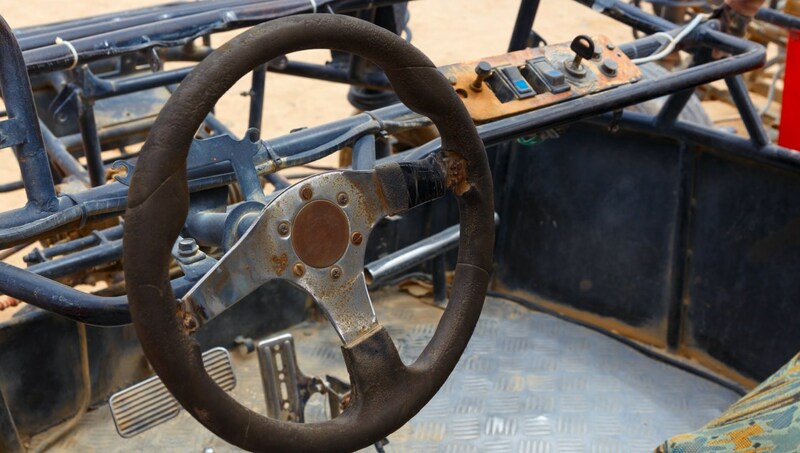 Experience the rugged red countryside surrounding Marbella, traversing deserts and rivers! 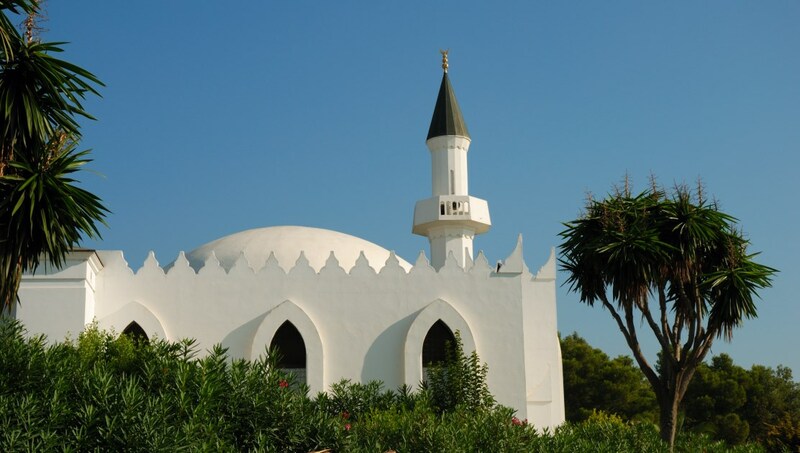 This mosque was named after the first king of Saudi Arabia and is built in the Andalusian style - there are similar buildings in Fuengirola and Malaga! Finally, if you've exhausted all that Marbella has to offer, just jump onto a ferry and see another continent. There are frequent day trips available to Tangier, Morocco. If you are going to Morocco or even just to the nearby British colony of Gibraltar, you are subject to border control - don't forget your passport. It's hard to forget that the sun is shining, but remember to reapply sunscreen every hour to avoid nasty burns. If you are visiting any places of worship, Islamic or Catholic, be sure to dress modestly as a sign of respect. The drinking age in Spain is 18, but children may be allowed to drink wine in restaurants with their parents. Known to have its own 'micro-climate', it stays fairly mild year round, basking in 320 days of sunshine. July and August can heat up and its a peak time to enjoy water sports. 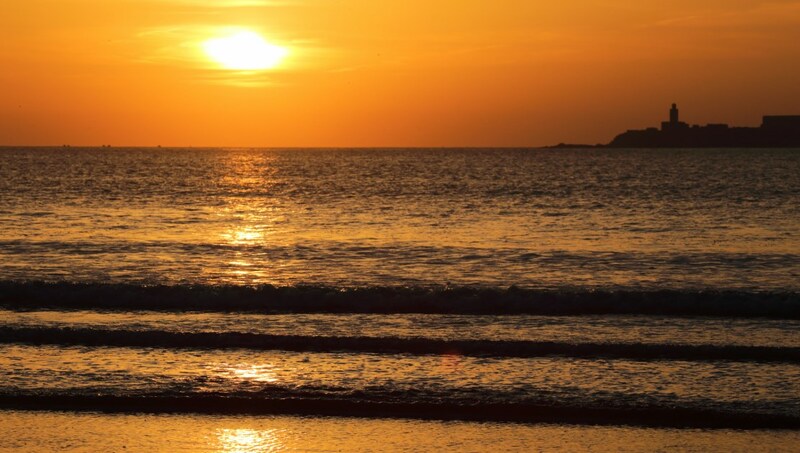 September through November it cools down and majority of tourists have left, leaving you more space at the beach! Want to discover all there is to do in Marbella? Click here for a full list. Improvments. We had a 3 hours tour and 8 hours of pick up and delivery of passengers . Great way to spend your morning!! Fantastic!! Great days excitement.. easy to book and well worth the money. Olga and Jarvis watts app’d Me shortly after I booked and made everything easier for us when we got there.. Christian was our guide on the day and he was excellent.. the sites and views where brilliant as was the whole experience... I can’t swim but not afraid of water.. But you would need a flotation device to go on this as there are long Stretches where it’s swim only!!! 10 out of 10!!! We really enjoyed the Tour. The guide - Paco - gave us a lot of interesting informations in variety of languages to please everybody on the trip.